The Norbury is proud to present live in concert The Sensational Aslan. 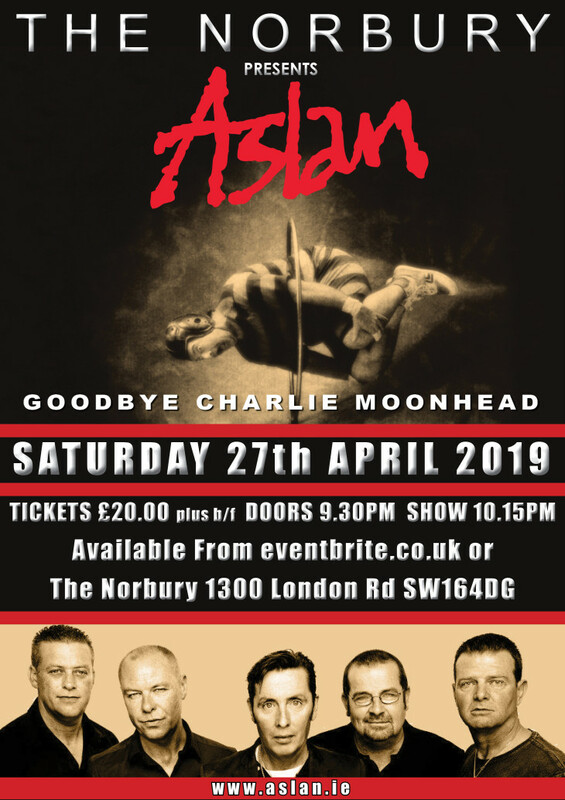 They will be playing live Sat 27th April as part of their Charlie Moonhead Tour This will be their only London gig so make sure to get your tickets early. Early release tickets available at £20 + booking fee online or direct from the venue direct.